Interested in learning how to build or improve your employer brand? I will be sharing 20 Lessons that I learned running the Army Strong campaign and have validated in the work I have done since leaving the Army. One of the 20 lessons I will share is how I applied my experience developing tactical and strategic plans to solve some of the challenges we faced communicating the value of Army service to young men and women of America. For more information on the conference visit the ERE Conference Website. 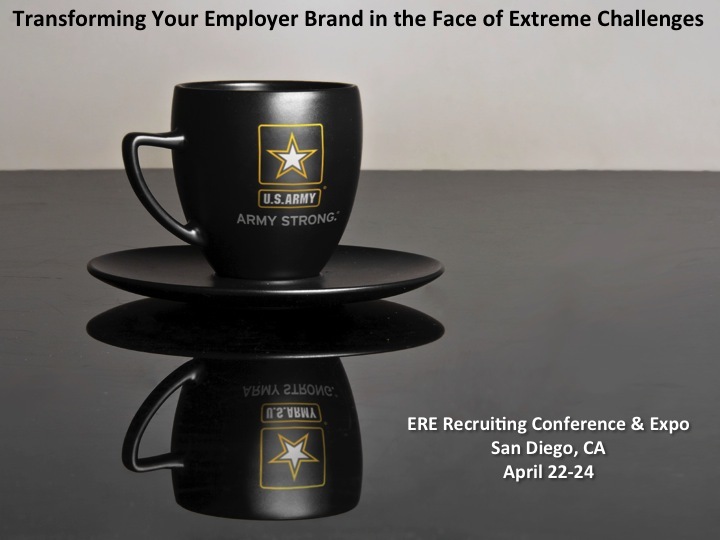 This entry was posted in Army Strong, Employer Brand, Marketing, Public Speaking, Recruiting. Bookmark the permalink.